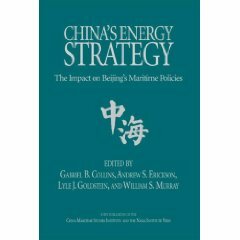 Over the past two years the Chinese Military’s activity in the East China Sea has increased dramatically. Meanwhile, the joint theater commands created in December 2015 have had a over a year to be stood up and staffed appropriately. 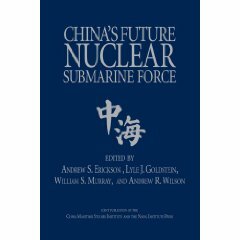 This year’s conference will examine the PLA’s progress toward building an effective joint force, and what this means for U.S. interests and those of our allies in the East China Sea. 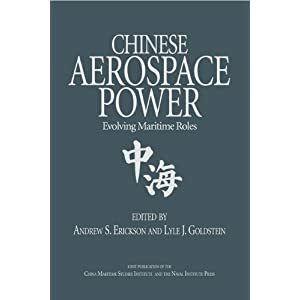 If you want to understand how the Chinese military will operate in future, this is the event to mark on your calendar. Brigadier General Robert S. Spalding III is the Senior Director for Strategy and Planning at the National Security Council. Prior to that, he served as a United States senior defense official and defense attaché to China. General Spalding received his commission through Fresno State University’s Reserve Officer Training Corps program in 1991. He earned his doctorate in economics and mathematics from the University of Missouri at Kansas City in 2007. The general attended undergraduate pilot training in1993, and was subsequently assigned as a B-52 Stratofortress co-pilot in the 5th Bomb Wing at Minot Air Force Base, North Dakota. He subsequently transitioned to the B-2 Spirit at Whiteman AFB, Missouri. In 2001, he was selected as one of three Air Force Olmsted Scholars and was a distinguished graduate of Mandarin Chinese language training at the Defense Language Institute in Monterey, California. Afterward, the general attended Tongji University in Shanghai as a graduate research student. He then returned to Whiteman AFB as a B-2 evaluator pilot and assistant director of operations for the 393rd Bomb Squadron. The general was then assigned to the Office of the Secretary of Defense’s Prisoner of War Missing Personnel Office as the military assistant for the deputy assistant secretary of defense. During the Iraq surge in 2007, General Spalding deployed to Baghdad and directed the Personal Security Coordination Center. After a stint at the Air War College at Maxwell Air Force Base, Alabama, he was reassigned to the B-2 at Whiteman AFB. While at Whiteman AFB, he was the chief of safety, operations groupcommander and vice wing commander. He was then selected as a Military Fellow at the Council of Foreign Relations in New York. Prior to serving as a defense attaché to China, he was the chief China strategist for the Chairman of the Joint Chiefs, the Joint Staff at the Pentagon, Washington, D.C. General Spalding speaks Chinese-Mandarin and Spanish. Abraham M. Denmark is Director of the Asia Program at the Woodrow Wilson International Center for Scholars, which conducts independent research and hosts frank dialogues to develop actionable ideas for Congress, the Administration, and the broader policy community on issues related to the Asia-Pacific. He also holds a joint appointment as a Senior Fellow at the Wilson Center’s Kissinger Institute on China and the United States. Prior to joining the Wilson Center, Mr. Denmark served as Deputy Assistant Secretary of Defense for East Asia, where he supported the Secretary of Defense and other senior U.S. government leaders in the formulation and implementation of national security strategies and defense policies toward the region. Mr. Denmark previously worked as Senior Vice President for Political and Security Affairs at The National Bureau of Asian Research, a Fellow at the Center for a New American Security, and held several positions in the U.S. Intelligence Community. Mr. Denmark has authored dozens of articles and edited several books on the Asia-Pacific and U.S. national security, including several editions of the Strategic Asia book series. He has testified multiple times before the U.S. Senate and House of Representatives, as well as the U.S.-China Economic and Security Review Commission. His commentary has been featured in major media outlets in the United States and in Asia, including National Public Radio, The Financial Times, The National Interest, Foreign Policy, and The Atlantic. In January 2017, Mr. Denmark received the Secretary of Defense Medal for Outstanding Public Service. He also received the Order of the Resplendent Banner from the Republic of China (Taiwan), was made an Honorary Admiral in the Navy of the Republic of Korea, and was named a 21st Century Leader by the National Committee on American Foreign Policy. A Colorado native, Mr. Denmark holds an MA in International Security from the Josef Korbel School of International Studies at the University of Denver, and received a BA in History with Honors from the University of Northern Colorado. He has also studied at Peking University. Dr. Andrew S. Erickson is Professor of Strategy in, and a core founding member of, the U.S. 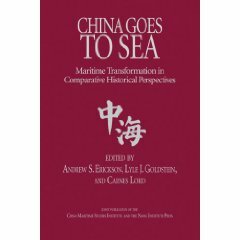 Naval War College’s China Maritime Studies Institute. He serves on the Naval War College Review’s Editorial Board. Since 2008 he has been an Associate in Research at Harvard University’s John King Fairbank Center for Chinese Studies. Erickson received his Ph.D. and M.A. from Princeton University and studied Mandarin at Beijing Normal University’s College of Chinese Language and Culture. Dr. Willy Wo-Lap Lam is a Senior Fellow at The Jamestown Foundation. He is an Adjunct Professor at the Center for China Studies, the History Department and the Program of Master’s in Global Political Economy at the Chinese University of Hong Kong. He is the author of five books on China, including Chinese Politics in the Era of Xi Jinping (Routledge 2015). Peter Mattis is a Fellow in the China Program at The Jamestown Foundation and a PhD student in Politics and International Studies at the University of Cambridge. He edited Jamestown’s biweekly China Brief from 2011 to 2013. Prior to The Jamestown Foundation, Mr. Mattis worked as an international affairs analyst for the U.S. Government. He received his M.A. in Security Studies from the Georgetown University School of Foreign Service and earned his B.A. in Political Science and Asian Studies from the University of Washington in Seattle. He also previously worked as a Research Associate at the National Bureau of Asian Research in its Strategic Asia and Northeast Asian Studies programs.